Part Two of the look at the futures of the remaining Villa high wage earners. Part one can be found here. Paul Lambert upon his arrival at Villa Park expressed his desire for young, hungry players, which fell nicely into sync with the clubs’ financial situation and its desire to cut the wage bill by selling its highly paid players. Of course, better players command high wages and Villa still have a number of very capable high earners in the side, but none of them as of yet have really performed well this season for a variety of reasons. 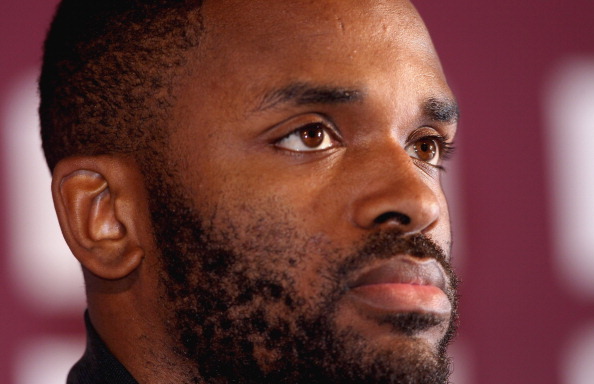 Below is an assessment of the contributions and futures of the remaining high earners in our side – including the main topic of the moment Darren Bent. Sensational in the first season at the club, but has gradually got worse as the seasons have gone on. 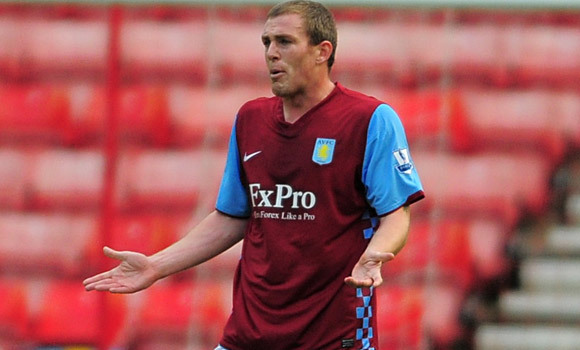 However the Richard Dunne situation becomes a catch 22. Yes he is on a big wage, yes his best days are behind him, BUT, does that mean we flog him in January? Absolutely not! and here is why. We only have two experienced defenders in the squad, Ron Vlaar being one, and Dunne being the other. We currently lack experience in areas we need it, and coming up to the business end of the season, I anticipate us to be languishing in or around the relegation zone, and characters like Dunne with the experience and know how he is has could be vital in ensuring the younger players are prepared and capable of coming through difficult periods that we are bound to find out self in. The Manchester United game was a key example, as good as we played, we lacked that extra body that at the back and in the middle that could get hold of the side and calm them down and get us through the game instead of panicking as soon as the first goal went in. Not saying we would have held on to a 2-0 lead but against sides we need to be beating later in the season, throwing leads away like we have against United, Southampton, Swindon and Norwich could be costly. The other reason is Dunne has not played all season because of injury problems, selling him in January will mean that we won’t pick up hardly anything for him, and most likely if rumours clubs won’t be willing to take a gamble on him knowing he is struggling badly with injury and will want proof of his recovery period back in the side. Short-term experienced defensive cover, which will could be crucial if things start to get messy at the wrong end of the table in the business part of the season. Time left at the club: If we are paying him, we could use his experience in the squad for this season and re-assess it at the end of the season unless we find a good experienced replacement in January. Remember this guy? Easy come, easy go. Who? You remember that little fella we signed from the French league? Technically very neat but tackles like Paul Scholes? If you don’t know by now you probably never will and that is where the problem lies. Gerrard Houllier signed Makoun, a man who has had plenty of experience at the top-level and would have added a lot to our side. Coming from the French League, how many players are an instant hit in their first half a season? Name me 5. Very ill-timed in the tackle but the greatest midfielder to play Premier League football in Paul Scholes still can’t tackle, so that is not something to be overly concerned about. What is concerning is that the technical ability and passing range of Jean Makoun was far greater than anything we had last season but yet the Magician that is Alex McLeish decided to send him out on loan to Olympiakos. Maybe the fact Makoun liked to pass forward as often as possible was why McLeish didn’t like him, which was a shame because his ability to link the game up and his one and two touch passing has what has made him a success at the clubs he has been to. Now his desire may be questioned because of the failure to get a work permit. Makoun has not thoroughly learned the English language which has prevented him being granted a work permit. People will say well he should have spent time learning it, but playing over in Greece a season and learning a new language there is surely going to hamper his development of the English language. Bad business, surely it would have been logical to send him back to France where is fluent in the language, and can spend time learning solely English and not another language as well, so that he can return to the club, and be able to obtain the work permit. As a result Paul Lambert has not even been able to see the man in training, and if he did I would predict he would be impressed, as with Lambert’s philosophy Makoun would fit in brilliantly. 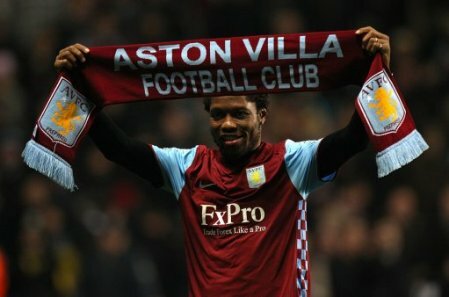 Such a shame though that we have not seen the best of the £6m signing and doubt we will now in a Villa shirt. Time Left at the club: I would expect Makoun to be on our books for the remainder of the season unless Lambert strikes a deal with Rennes during January. This has been the hottest topic in the media this season regarding Aston Villa. 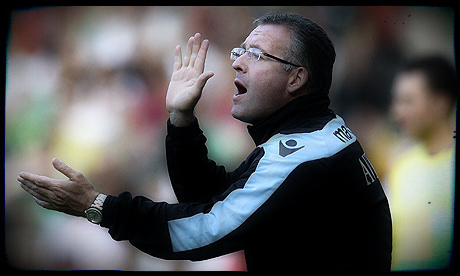 For whatever reason Paul Lambert does not see a place for Darren Bent in his Aston Villa plans. Could it be rumours of his off field activities, could it be the rumour regarding the extra money we have to cough up to Sunderland if Bent reaches 50 games, maybe his massive wage or could it be the fact Bent’s style of play does not fit into Lambert’s plans. I would say it could be all of those. If it is the 50 games reason, then I would assume that advice from the board would have impacted that decision, unless Lambert is thinking logically that he could be a couple of million pounds down if we have to pay it out for Bent. What he does off the pitch is his business, but if it affects the harmony at the club then it has to be addressed, and lets assume the 50 games reason is not a factor, if it is not, then Darren Bent needs to be given game time. Does that mean he should start ahead of Christian Benteke? Absolutely not! Does it mean he can partner Benteke or come on as a substitute between now and January when it is anticipated he will leave? Yes of course. He is a proven goal scorer and has still found the net on three occasions this season, and will get on the end of chances that most strikers will not get near. Experience at the top-level and international level which can definitely benefit the younger players. If he was playing with Benteke it would bring the best out of Bent because in and around the box he is very clever and comes to life and the link up in the brief time they had on the pitch together against Swansea and Southampton looked very promising. He cannot play as a lone striker with the players we have in the squad at the moment. If we had in-form wingers and an in-form Ireland that can put chances on a plate for him, Then Yes he would be hard to leave out, but that is not the case. Holding up the ball, and working the channels to allow players to get up in support of him is half decent, but not the level a lone striker in a team like Villa need. In Benteke we have a man that can turn the defenders towards their own goal, work the channels, win almost everything in the air, hold up the ball, provide a physical threat and link up the game. Unfortunately, Bent does not possess all of that, so he is going to find himself out of the side if we continue to play with a lone striker. People question his work rate, I disagree. It is not that imperative that a lone striker works tirelessly, BUT it is important he works tirelessly at the right times and in the right areas. To be an impact substitute at a struggling club with the profile and reputation he has is only going to cause problems and especially on the wage he is picking up, do we want a player earning that sort of money just to get 20 mins a game when the rest of the squad are not earning close to that. Time left at the club: Days are numbered if you ask me. Stories are surfacing that we are demanding £18m for Bent, not going to happen unless it is a rich club. I would expect no less than £10-12m. I would expect Bent to be gone in January, and it probably suits all parties as it appears that Bent is not a part of Lambert’s current set up, and means we can use the money to strengthen in areas we need to strengthen. Leave the coat, we will mail it to you, just get out and quick!